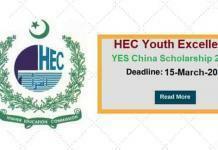 The Chinese Government is offering Chinese Government Scholarship For Pakistani Student as 2019 to study at Chinese institutions starting in the 2019/20 academic year. 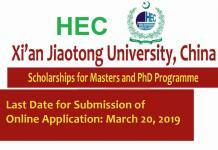 The Chinese Government Scholarship by Ministry of Education of the People’s Republic of China is offered for undergraduate (Bachelors) in the identified scarce skills, postgraduate (Masters or Ph.D.) or non-degree Chinese language studies. 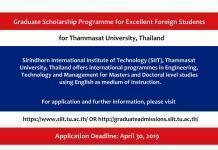 Bachelor’s degree scholarships are taught in Chinese and will only be awarded to applicants who already have the required level of Chinese proficiency (HSK 5 or above). 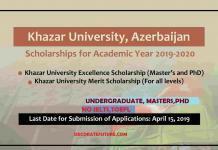 Preference is given to applications for postgraduate studies. 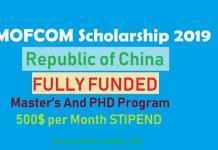 In order to promote the mutual understanding, cooperation and exchanges in various fields between China and other countries, the Chinese government has set up a series of Chinese Government Scholarships programs to sponsor international students, teachers, and scholars to study and conduct research in Chinese universities. 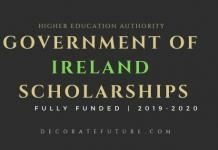 The Partial scholarship covers One or some items of the full scholarship.